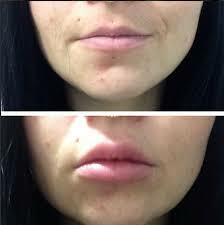 Due to cosmetic reasons many women are seeking treatment to get plumper lips. Lip Augmentation in Islamabad & Rawalpindi is one of the easiest ways to enhance the shape of your lips. Lip implants and dermal fillers are widely used techniques to enhance the overall facial profile by plumping the lips. Certain types of fillers are injected around the mouth that helps in increasing the volume. Ongoing trends are changing the thinking of people. These trends are insisting people to get befitting shape of lips and eliminating fine lines around mouth. Procedure of Lip Augmentation in Islamabad, Rawalpindi delivers very natural results by plumping thin and uneven lips. Progressive results of dermal fillers usually appear within 3 months and tend to last for 5-6 months. However, if you have high metabolic rate then the solution gets broken down and don’t last for so long. Therefore, results may vary. Treatment of Lip Augmentation in Islamabad, Rawalpindi works with the aim to improve shape of thin and uneven lips. Besides this it develops symmetry between lips and other features of the face in order to give more appealing and womanly look. 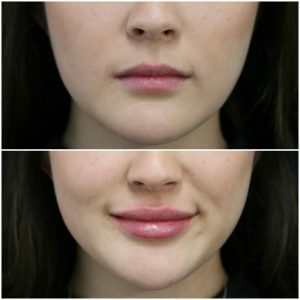 Lip fillers and lip implants are playing important role in achieving the expectations of all those women who want to increase the size of lips through Enlargement of Lips in Islamabad, Rawalpindi. 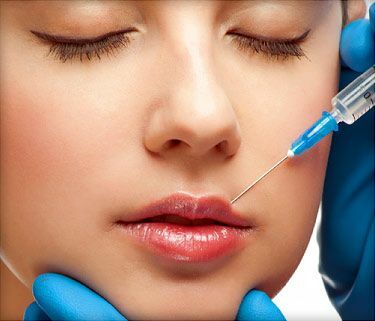 Lip fillers are also called as Lip injections in Islamabad, Pakistan that are divided into two major groups: collagen fillers and hyaluranic acid (HA) fillers. The most commonly used ones among them are HA fillers that are injected into the lips after applying local anesthesia. Silicone Injections, Autologen, Hylaform and Restylane, are the common examples that aid in achieving cosmetic goals. This surgical technique introduces comfy implants in the lips. It provides more refine and permanent results than fillers. Small incisions around the corner of mouth are created. Surgeon further creates tunnel like structure in the lips to accommodate the implant. Following procedure, he inserts implant, trims it to proper length and then threads it through the lip. You can start your routine activities right after the treatment. 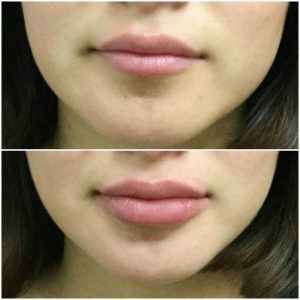 Lip Enlargement/Augmentation Injections in Islamabad, Pakistan requires very short recovery period. Redness, swelling and bruising may arise for 2-3 days which subsides following post-care program. Patients of dermal filler treatment recover completely within 2 weeks. Procedures of Lip Enlargement/Augmentation in Islamabad, Rawalpindi & Pakistan adds volume and definition to regular or thin lips for an enhanced facial aesthetic. If you are seeking treatment for same concern, you should approach SKN International Hospital. Fill in the consultation form and book your FREE appointment today.